The Professor Marty's Genius Putty can stretch like rubber and bounce like a ball, and because it's silicone-based, it won't dry out or crumble over time. It's part toy, part stress reliever, part physical therapy and entirely addictive. Once you start playing, it's hard to stop! 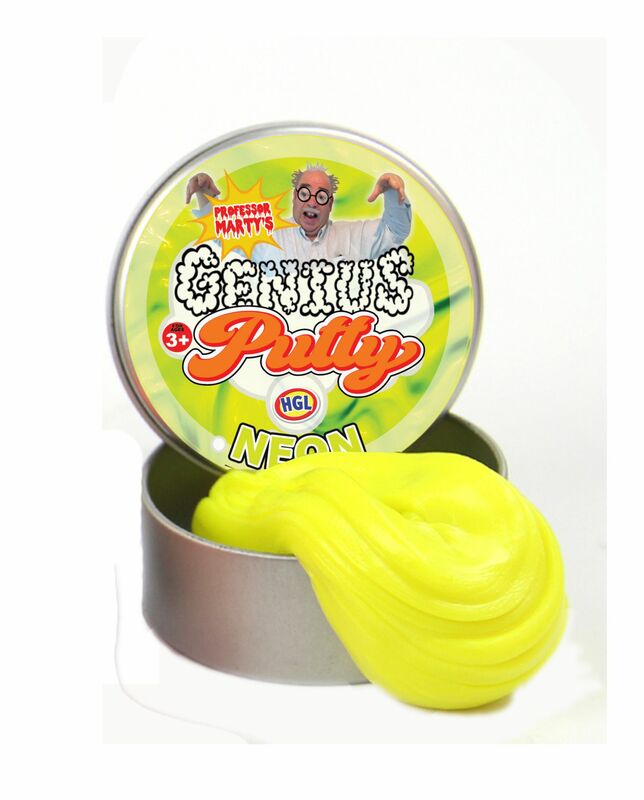 Neon Genius Putty is fun and irresistible. Perfect for kids. Measures: 8 x 2.5cm approx. Random Colours.